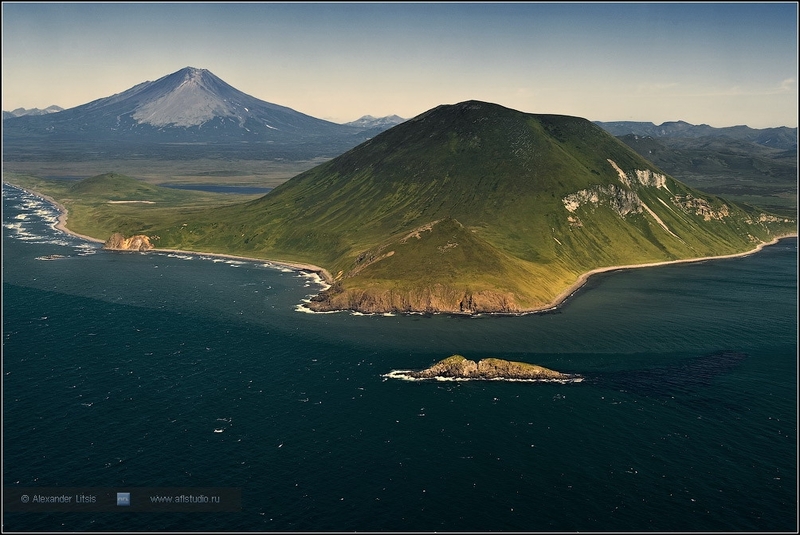 Location: Mashkovtsev volcano is located on South Kamchatka, to the south of the mouth of Kambalnaya River, flowing into the Sea of Okhotsk. 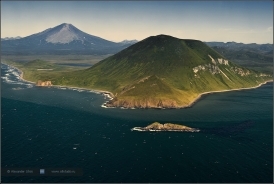 The volcano forms a projection on the western coast of Kamchatka with the Cape Kambalny. The Gulf of Mary is located between the Cape Kambalny and the Lopatka peninsula. The volcano is a slag-lava cone with a crater on the top. Lava flows are noting on the northern slope, small cinder cones are observed on the southwestern its slope and at the northern volcanic foot.